It wasn’t the most orthodox unveiling, but the Galaxy J4+ and Galaxy J6+ are official. Though if you ask us those should have been called the J4+ and J4++. Both phones have 6” screens with 720 x 1,480px resolution and both are powered by a quad-core processor (1.4GHz, possibly the Exynos 7570 Quad from the Galaxy J4). 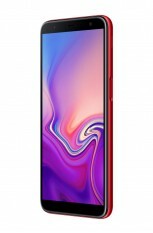 Both have 3,300mAh batteries and both run Android 8.1 Oreo. The two phones diverge in terms of memory - the Galaxy J6+ comes with 3/4GB of RAM and 32/64GB of storage. 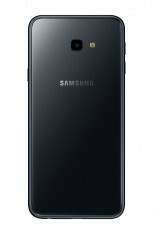 The Galaxy J4+ has 2/3GB of RAM and 16/32GB of storage. 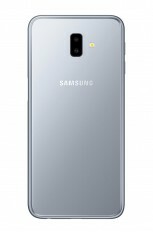 The Samsung Galaxy J6+ has a dual camera on the rear – 13+5MP – and an 8MP selfie camera. In both cases there’s a reasonably bright f/1.9 aperture. The J4+ has a more modest setup with a single 13MP camera on the back and a 5MP selfie cam. Beyond that, the specs are identical, including the dimensions and weight. The connectivity too, starting with the LTE Cat. 4, to 2.4GHz Wi-Fi, Bluetooth 4.2, positioning (GPS, GLONASS, BeiDou) and optional NFC (region dependent). The Galaxy J6+ will have a fingerprint reader on the side, whereas for the Galaxy J4+ this is another region dependent feature - only North American units will get it. 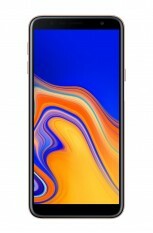 So, what are you getting compared to the non-plus models of these phones? Well, bigger screen and bigger battery on both and the dual camera of the J6+. Note that the Galaxy J6 has an octa-core processor, however. They plan to put dual core but to maintain respect they choose quad core. SpaceX must send Samsung company to moon and never returns.